If you’re after something unusual, check out these curious hanging ornaments. 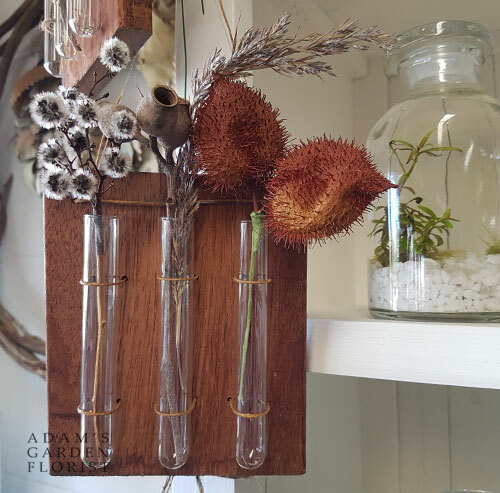 We have put them together using hard-wood off-cuts, test tubes, and random interestingly textured dried flowers. These are also suitable to use with individual fresh flower stems or artificial blooms. Check out some other things we might be up to on our instagram.